Customer Service eLearning & Onsite Training Customized Engaging Customer Service Training How Long Will It Take You to Talk to Us About Soft Skills Training? Yesterday I delivered a full-day of soft skills training to a new client in Denver. We had such a fun day. Lots of participation, solid takeaways, table discussions that I know were behavior changing. I love the feeling I get after a day of soft skills training. Have you ever checked out my onsite training workshops? • Training is customized to your needs. I meet with your management team before the training to discuss your objectives and I review a sample of your agent calls to help me understand where you are today. • I’m known for my high engagement, stories and humor – your people will love spending the day with me and my team in soft skills training! 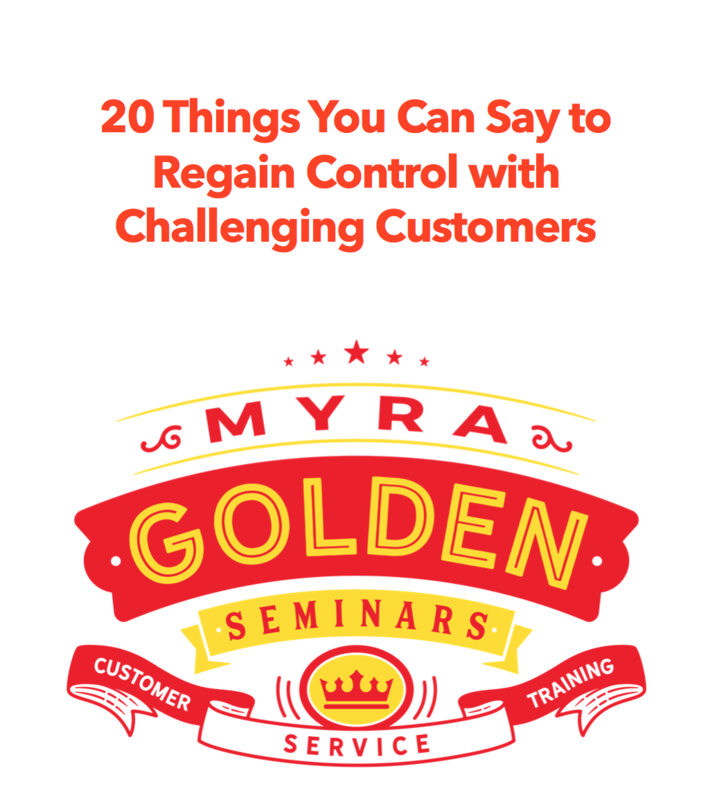 How long will it take for you to talk to us about having me deliver a customer service workshop for your employees?